There are dozens, maybe even tens of dozens of online cloud storage services that offer free online hard drives for people to dump their stuff to and share it with people. Dropbox, Google Drive, SkyDrive, etc… All free, all secure, all share-able. 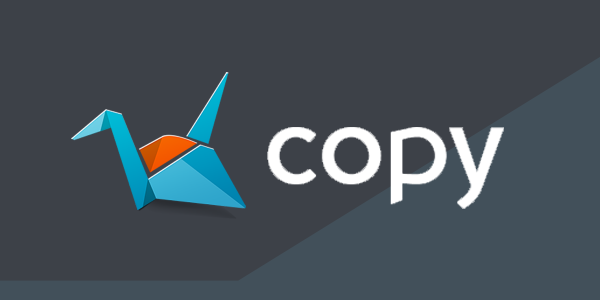 Copy is the new kid on the cloud storage block and they’re bringing out all the big guns. For starters, they offer you 15GBs of space right out of the box. Google drive up until very recently only gave you 5GBs (they now offer 15GBs), Dropbox even less at 2GBs. So Copy beats Dropbox by 7 and a half times… and ties with Google. Unless of course you are referred by someone in which case you start out with 20 and then you beat Google by 5 =P So tell me, why wouldn’t you? Naturally all these services have the option to invite some friends and get more space but again, Copy trumps all. For a limited time (they don’t say how long), Copy will give you and a friend 5GBs of extra space for every user you refer. That is to say that anyone who signs up through your link starts out with 20GBs out of the box! Now I’m not posting this just to spam invites out of people… I’ve already invited a bunch of people through Facebook, my forum DarkUmbra, etc etc so the real purpose of this post is to attract the attention that Copy deserves. It is a killer service, with full apps on phones, tablets and it is putting other cloud services like Dropbox to shame! I’ve jumped ship and I advise all of you to as well!